After a day at the spa your skin feels supple and luxurious and your mind is Zen and relaxed. You want to hold on to that feeling forever. But, how? With insanely busy lifestyles leaving little time to ourselves … let alone a day at the spa … it simply isn’t always a feasible endeavor. The Makeup Examiner’s Editor and Founder came up with the perfect solution long ago. Being an ardent believer in “me time,” although she’s not popping over to the spa on a weekly basis, she has a strict routine of at-home spa Sundays. Taking time to focus upon one’s self and pamper from head-to-toe is what keeps her level. And, she encourages all of us to do the same. Recently, she was introduced to products from the world-renowned Golden Door Spa and is recommending four amazing, must-have products for you to use at home! Golden Peel-A-Way Masque ($72) - This elegant, gold masque instantly refreshes the skin by deeply lifting away impurities and dead skin cells. As it sets on the skin, a select blend of botanical extracts and sugar enzymes work together to nourish, hydrate and aid in the skin cell renewal process promoting a glowing complexion. The Golden Peel-A-Way Masque is suitable for all skin types and has a lovely aromatheraputic scent to give a full relaxed experience. Bamboo Face Scrub ($64) – This delightfully aromatic facial scrub effectively exfoliates dead skin cells leaving a deeply cleansed, smooth, even-toned complexion. Designed for all skin types, except extremely sensitive or couperose, this scrub’s unique blend of bamboo powder and berry seeds along with healing, hydrating and nourishing plant extracts leave skin clarified, soft to the touch, wonderfully glowing and better able to accept other treatments more readily. 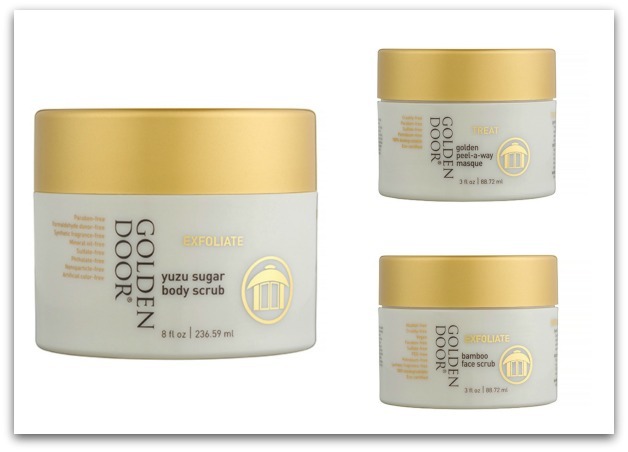 Yuzu Sugar Body Scrub – Japanese Citrus Blend ($58) - This aromatic and invigorating body scrub contains an extraordinary combination of selected ingredients to immediately improve the appearance of the skin. Sugar granules meticulously exfoliate while nourishing sesame, sunflower, safflower and jojoba oils deeply condition and moisturize the skin leaving it radiant and silky soft. The Yuzu aromatic blend is mood enhancing while it promotes a feeling of clarity. Golden Door Orange Blossom Candle ($50) – Each of us at TME love our candles and this particular one is simply luscious. 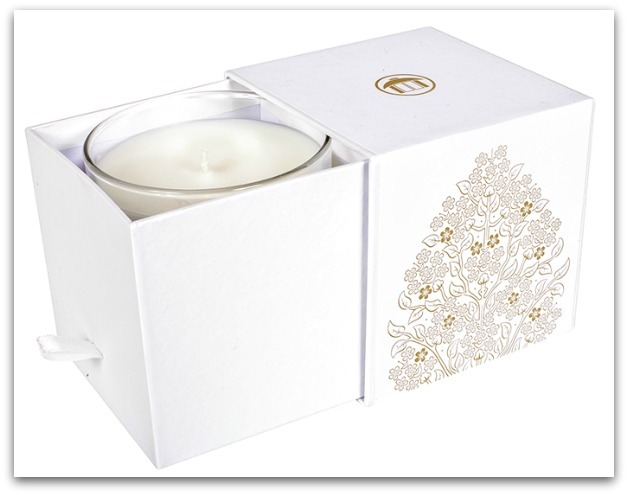 It is highly fragrant without being overpowering – you can smell the calming fragrance without even lighting the candle! The Golden Door Orange Blossom Candle is an exotic and heavenly blend of Néroli (Orange Blossom), Jasmine, and Rosewood combined with Lemon, Litsea Cubeba, Green Leaf, and a touch of Honey Wood. This all-natural candle is created with vegetable wax, essential oils and 100% cotton wick. Always made with love, 100% of Golden Door’s profits go to select charities across the U.S. dedicated to transforming the lives of children. To get a few must-have “me time” products, visit Golden Door online!